Traveling on the road can make it difficult to stay on track with your goals. Any time we go on vacation, it’s like an instant permission to purchase cinnamon bears at the gas station, fill up on Starbucks coffee and eat everything that you’ve been thinking about since the last trip. But, with a little pre planning and some tips on how to travel with protein powder, you can help the vacation weight gain stay at a minimum. 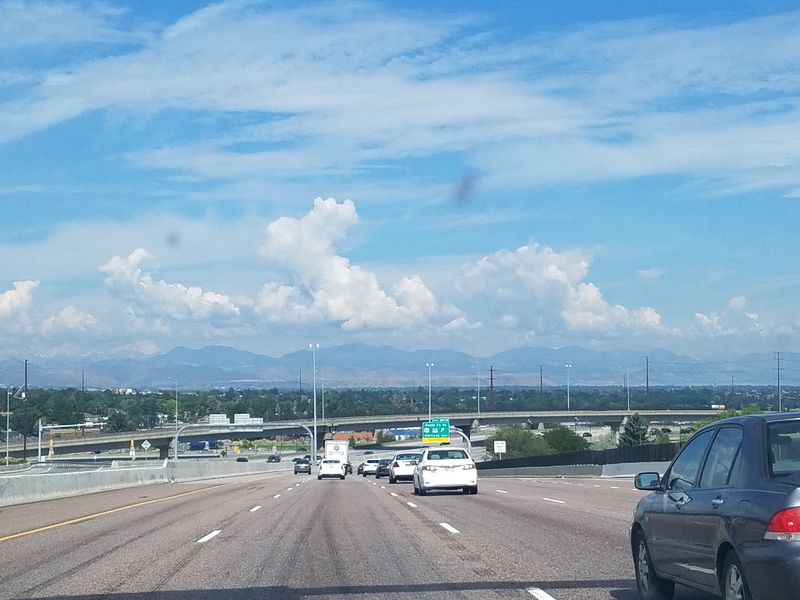 We are currently traveling to Colorado and endured a ten hour drive yesterday. Driving that long with two little kids can be brutal! A stressed momma makes those junk food temptations a little more harder to resist.. unless you prepare. Protein is hard to get in while you are traveling and it’s the most important macro nutrient. Protein is going to give you the energy needed to tackle the day, it’s going to keep the hunger pains at bay and it’s going to help you stay on track with your goals! The gas stations are full of the fat and carbs.. sometimes protein bars if you are lucky. So packing the protein is a must. Protein granola.. it’s great for breakfast and as a snack! My family likes to stop for a donut and coffee, a small bowl of granola with a Premier Protein vanilla shake as your milk is delicious! This is what I enjoyed yesterday and it held me over for several hours. Premier Protein ready to go shakes. Just as above ^^.. these are so versatile and come in handy a LOT! The caramel mixes well into your coffee as creamer, drink it to tide you over before lunch and keep some with you during your vacation. I can’t count how many times these shakes have come to my rescue in the last 2 days. Skinny Pop Popcorn! Sometimes you just need to munch while traveling. It’s like a passage right to do this. Skinny Pop is only 100 calories, has a ton of volume and gives you satisfaction during those snack moments. Premier Protein Bars are great too! When my husband is grabbing a candy bar, I grab my protein bar. 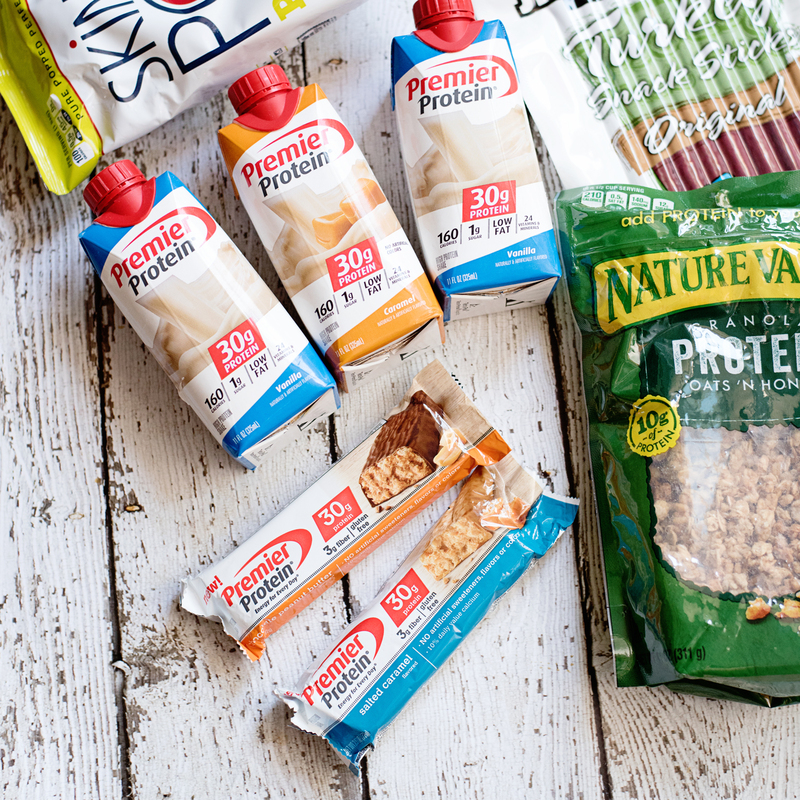 They are packed with 30g of protein, no artificial sweeteners and they come in delicious flavors. Jerky is amazing and it’s a great protein source. But, jerky is also packed with a ton of sodium. These are great to fill in the gaps. I grabbed these turkey sticks, they had half the sodium as regular jerky and worked really well! Everyone always wonders how to travel with protein powder. The best way I’ve always traveled with protein powder is with a ziploc baggie. Estimate the number of scoops you will need, throw it in there and don’t forget to bring the scoop! 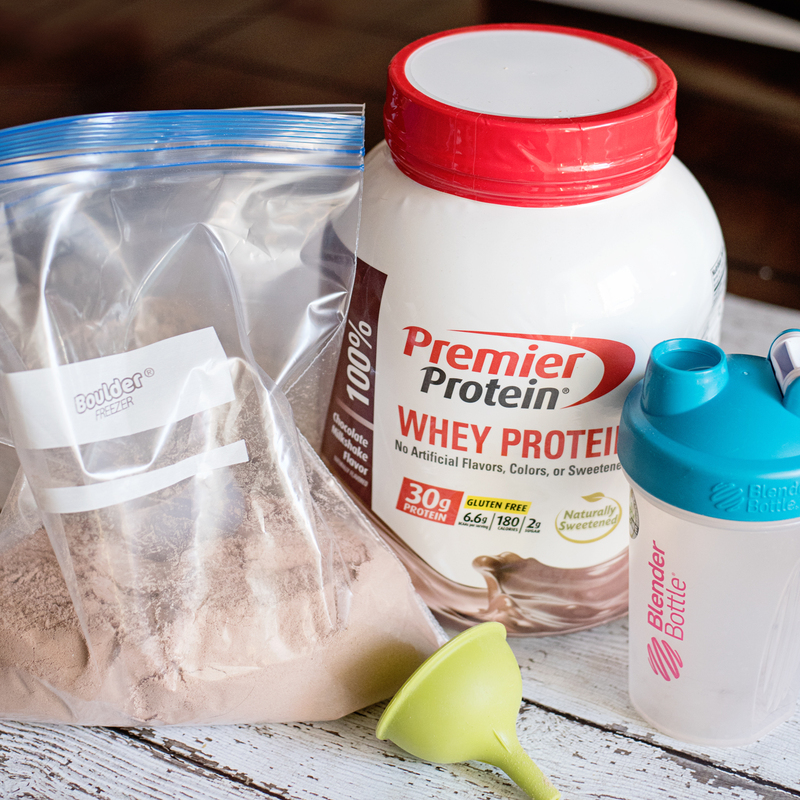 Premier Protein Powder is allowed in your carry on bag while traveling and it travels well in the car. You can bring a shaker or bring along a mini funnel. The funnel will allow you to easily get protein into a bottle of water without making a mess. It’s a great travel companion! 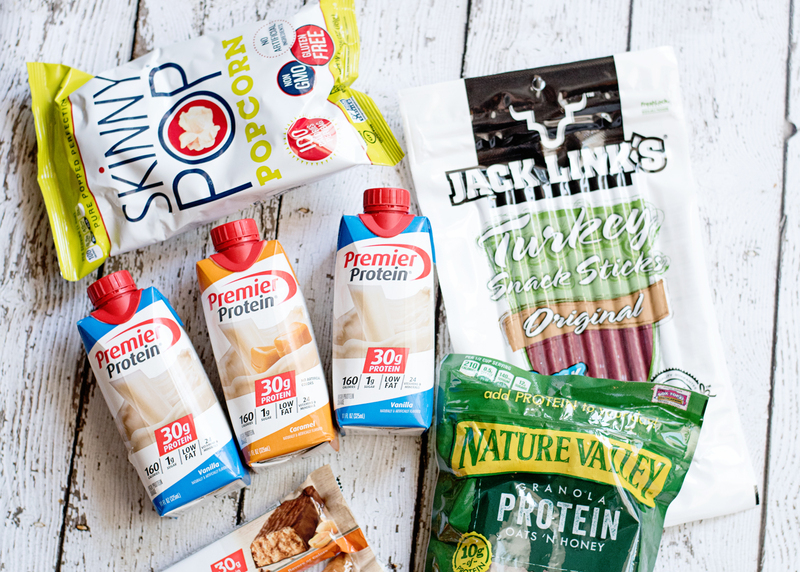 Whether you are staying in a hotel, at someone’s house or a rental house that you can grocery shop at, these protein options are a great way to help you keep the junk food at bay and help you stick to your goals. Disclosure : This post is part of an ambassadorship with Premier Protein. All thoughts are my own.